Time Only Banjo Clock Marked "AGH" on Back Plate Beaded & Cannonball Trim Runs! Everything packed very good with no problems---- Thanks!!! FAST SHIPPING.GOOD ITEM AS DESCRIBED. Really cool to see these available and keep a family keepsake running! Thanks! Received in a short amount of time. Thanks for the excellent transaction. After many years the clock on my treasured seasonal wall display quit working. 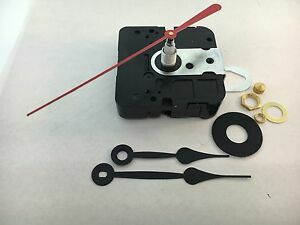 My best guess for a replacement movement was this item. It comes with a wrench tool and hands. I did have to trim the minute hand 1/8”, very easy. I also used my existing second hand because o think the center cap looks better. All n all you won’t find better quality. Package came well boxed and wrapped. Well pleased with the Takane Quartz silent movement and construction and happy to buy this product made in the US. 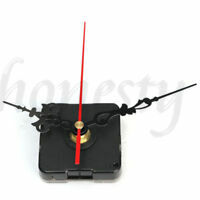 I have replaced 5 clock movements in the past from another company but this has been my best experience. I will continue to use this product and company. I replaced the original Seiko movement with this one and restored a custom decorative clock. The original hands fit perfectly. Keeps really good time, and makes no ticking sounds!